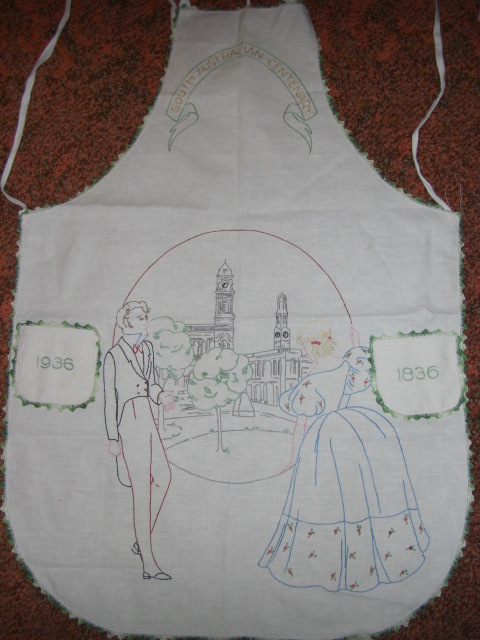 This is commemorating the centenaryof South Australia. 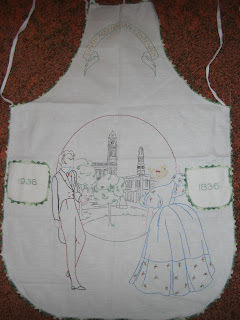 This apron is very unusual; I have wondered if it was designed by someone as a one-off, or was it a printed pattern? 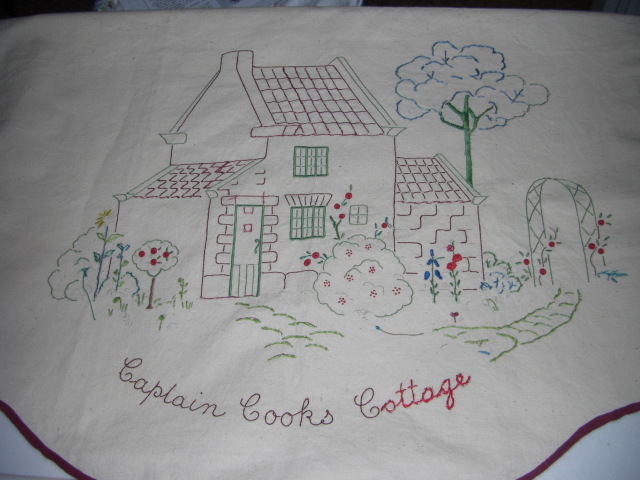 Captain Cook's Cottage - not an event; more of a commemorative apron. It must have a story behind it but I can only imagine the truth. It has obviously been stitched by two people - one experienced and one learner. Some of the stitching is perfect, and the rest is rather awful! 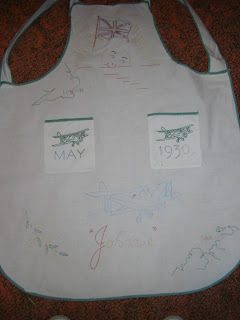 I think Mother might have been teaching her small daughter to embroider, and this is the result. 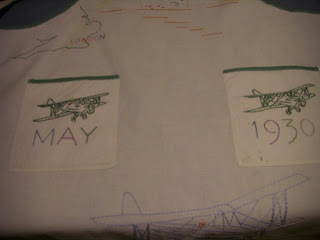 It's never been quite finished, and I am leaving it as it is. 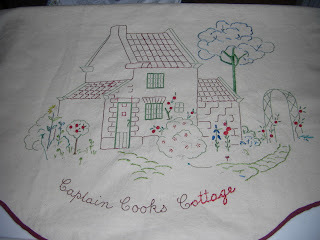 "Thatched cottage table runner, obviously more English than Australian, but I have no idea where this design originated. I believe it was stitched here." I'm pretty sure that is Anne Hathaway's Cottage just outside Stratford upon Avon.